In accordance with paragraph 3.59 of the JSE Limited Listings Requirements, shareholders are advised of the following planned changes to the Board of Directors (“Board”) of the Company. 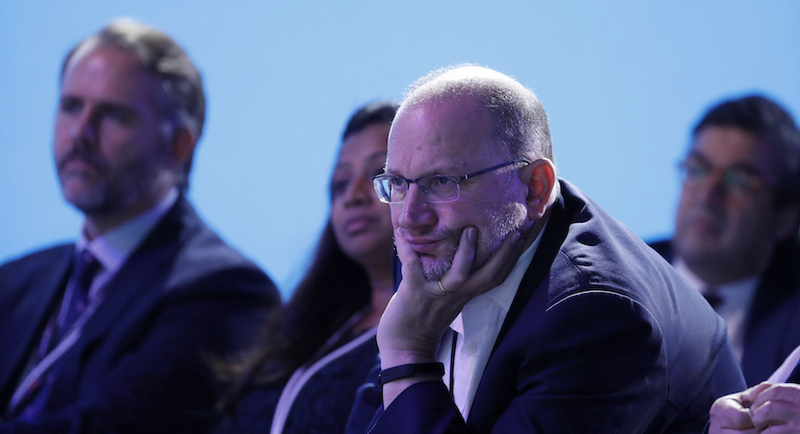 Mr. Hilkowitz, independent non-executive Chairperson and Director has informed the Board of his intention to retire, effective 28 February 2019. Mr. Hilkowitz has served as a non-executive Director of the Company since April 2002 and has been Chairperson of the Board since 1 January 2008. During his Chairmanship, Discovery has grown considerably, launching three new businesses, concluding five joint ventures and growing its client base from 2.5 million in three markets to 18 million members in 20 markets. Discovery wishes to thank Mr. Hilkowitz for his invaluable contribution to the Group over the past 16 years. The Company is pleased to announce the appointment to the Board of Mr. Tucker as independent non-executive Chairperson and Director, with effect from 1 March 2019. Mr. Tucker has had a long relationship with Discovery, spanning more than 13 years, commencing during Discovery’s JV with the Prudential, continuing through its first Vitality partnership with AIA, and then as a member of Discovery’s International Advisory Board since 2014. His succession to the Board is seen as critical and timely given that Discovery’s global expansion into different markets via key partnerships creates considerable opportunity. The Board believes that Mr. Tucker’s substantial global and institutional experience will be hugely valuable to the Group in this expansion. Executive of Prudential plc from 2005 to 2009. He served on the Court of the Bank of England as a non-executive Director 2009 to 2012 and was an independent non-executive Director of the Goldman Sachs Group 2012 to 2017. Mr. Tucker qualified as an Associate of the Institute of Chartered Accountants in England and Wales (ACA) in 1985, is an Associate Professor at the Chinese University of Hong Kong and serves on the Asia Business Council and the Advisory Board of the Asia Global Institute. Discovery welcomes Mr. Tucker to the Board.